Hello Friday! I am so ready for the weekend! We have just been cruising through the month of June, with tons of beautiful weather, lots of pool time and baseball and gardening…why can’t it be summer all year round? I say that now but I am a New Englander and truth be told, I’d miss those big, exciting snow storms! But for right now…I’m loving every second of the summer time. Today I’m sharing some fun inspiration for next week’s 4th of July parties and barbeques. Time to break out the Red, White and Blue! checkOUT these fun links…I hope you enjoy! My almost 3 year old (What??? How did that happen!?) absolutely loves pinwheels. Whenever we are in a store that has them, we have to stop and huff and puff and make them spin. He gets such a kick out of them! 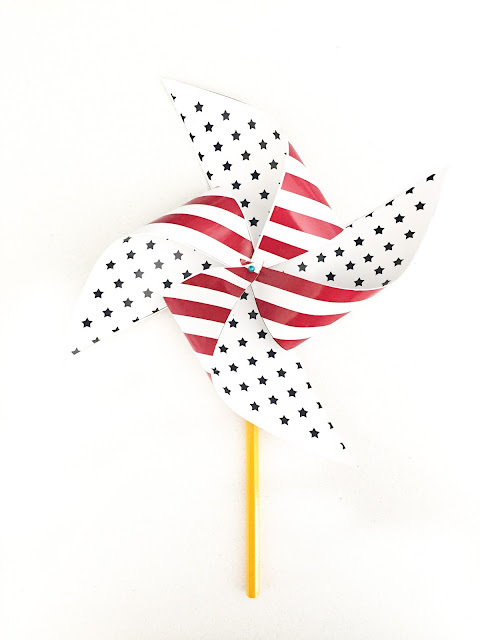 This DIY Pinwheel project by Lolly Jane is definitely not for little ones, but my daughter and I would enjoy making these for Mase to play with! 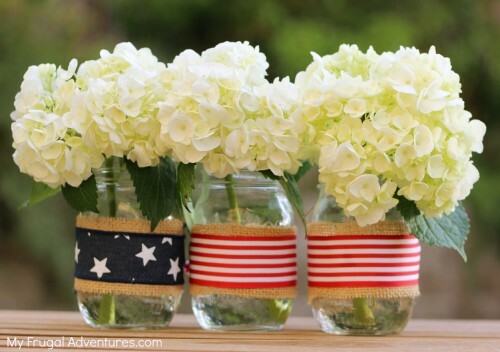 This is a quick and easy project that can add some style to your Independance Day party! It wouldn’t take more than a few minutes to assemble these fun mason jars and then you can use them as vases, candle holders or even to display your picnic flatware! Head over to My Frugal Adventures to get the details! Want a festive and beautiful salad to add to your holiday menu? 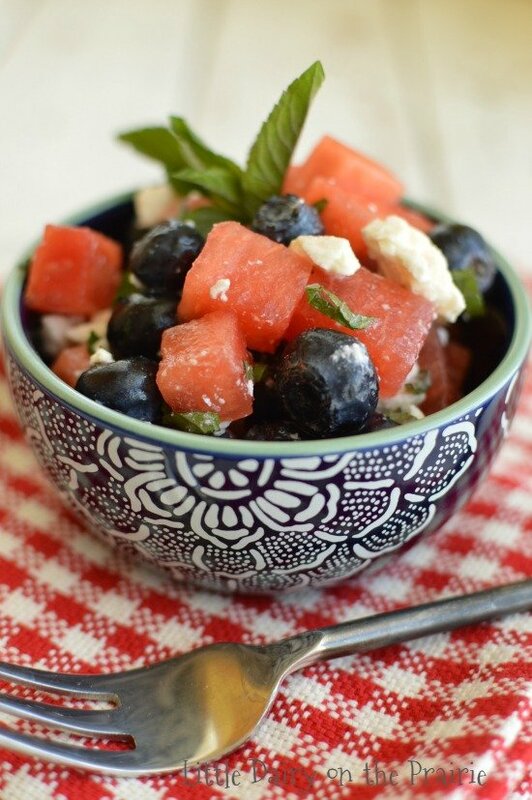 This Watermelon, Blueberry & Feta Salad from Amy at Little Dairy on the Prairie looks delicious and easy to make. I have a similar recipe, but this one has a few extra ingredients and I’m excited to try Amy’s version next weekend! We are big on starting holidays and special days off with a fun breakfast. I am one that feels the need to make celebrations last from sunrise to sunset! 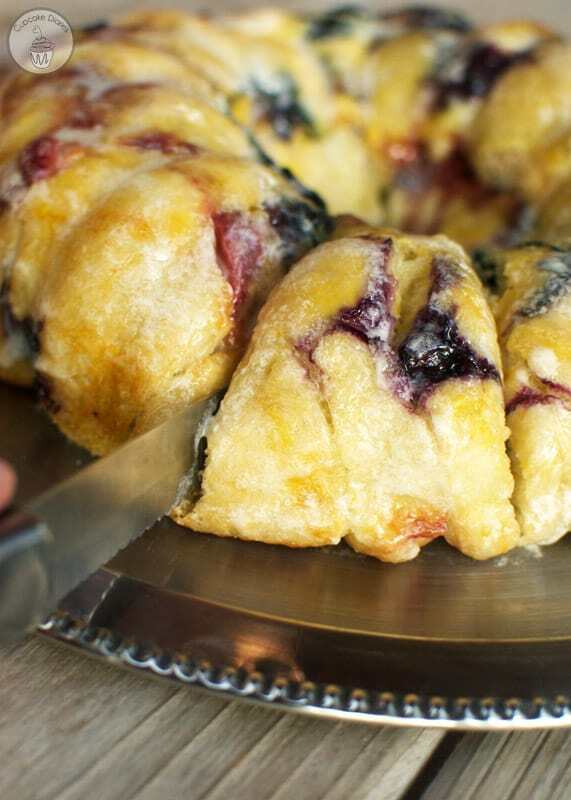 So I can’t wait to make this Berry Monkey Bread to kick off our long weeknd. My kids are huge monkey bread fans and Alli of Cupcake Diaries has created a version that looks amazing! One last fun link to share…because a 3-day weekend calls for some fun cocktails! 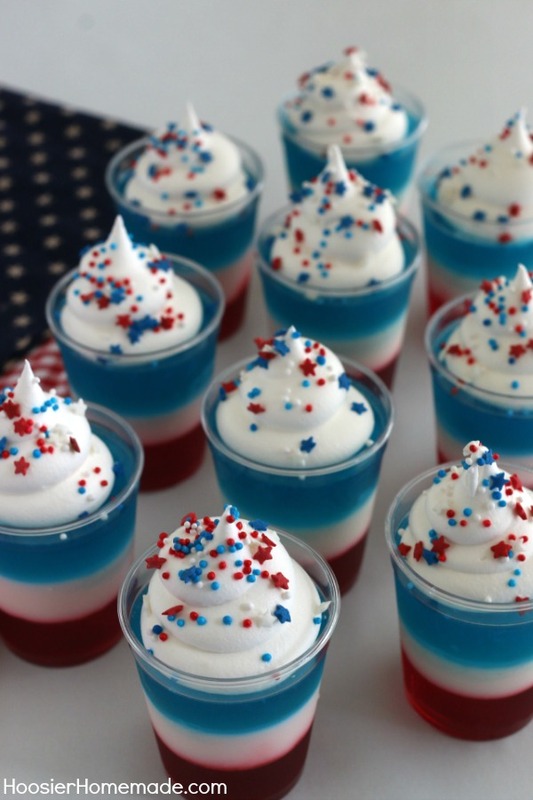 These 4th of July Jello Shots from Hoosier Homemade can be made with or without alcohol and are the perfect addtion to your celebration! So I hope you enjoyed this week’s list. And I hope your last week of June is great! Leave a comment below and share your 4th of July plans and traditions…I’d love to hear them! I know the colors are supposed to be patriotic but there’s something about red, blue, and white that makes it eye catching. I love your projects! Very cute and patriotic ideas. Gotta try some of these. These all look great, I especially love the pinwheels, I’m gonna have to give those a try! 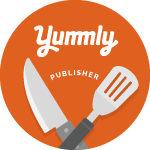 These are nice projects and I love all the food. (Great photos.) Love the Jello shots! So party on! I love doing all these little crafts and the food looks great. Love the little projects and the fruit salad looks yum!